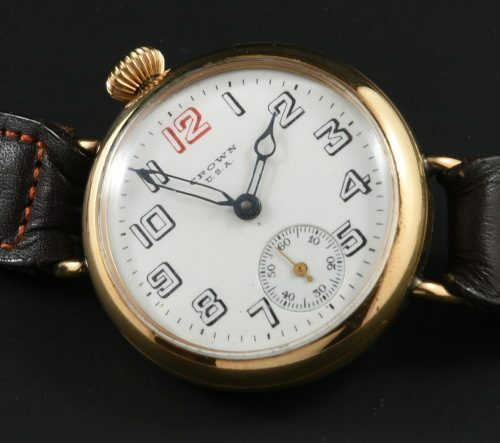 This circa 1917 vintage crown watch is quite interesting. The 34.5mm. gold filled case has a screw back. The original porcelain dial is offset as is the crown and sits interestingly on the wrist. These are among the earliest of wristwatches. The manual winding movement was just cleaned and is accurately keeping time. Just $695.